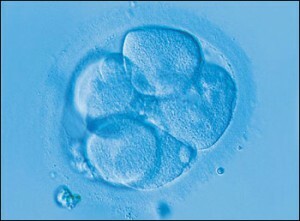 In a recent research, scientists have been able to isolate the stem cell of humans in its purest form. With this discovery, scientist will be able to regenerate the entire blood system of human being from a single stem cell. The discovery by the scientist will help them create a detailed structure of the blood system of human beings including the much needed stem cells. According to John Dicks, the principle investigator and a Senior Scientist at the McEwen Centre for Regenerative Medicine and the Ontario Cancer Institute, University Health Network (UHN), the isolation of single stem that can generate the entire blood system will maximize the potential and use of stem cells in clinical application. In a related development, a new study suggests that people who suffer from chest pain that don’t respond to medical treatment could benefit from stem injection. In a study that was published in American Heart Association journal, it was found that patients who injected with experimental stem cell injections reported less episodes of chest pain than patients who were given placebo injections. These experimental stem cell injections helped in creating new vessels in the diseased heart muscles which helped in improving the blood flow and reduced chest pain. For the study 167 patients who suffered from frequent chest pain or angina were selected. These patients were given CD34+ stem cells injections that were aimed at creating new vessels in the diseased heart muscles. These new findings will help in greater clinical use of stem cells and help in realizing the dream of using steam cells for treatment of various diseases.